The new Moroccan constitution, adopted in July 2011, rendered official the Amazigh language. It was in this context that the Jardin Majorelle finalized a long anticipated project and opened its Berber Museum. Housed in a painting studio designed by Paul Sinoir in 1931 for Jacques Majorelle, it presents Pierre Bergé and Yves Saint Laurent’s personal collection to the public. 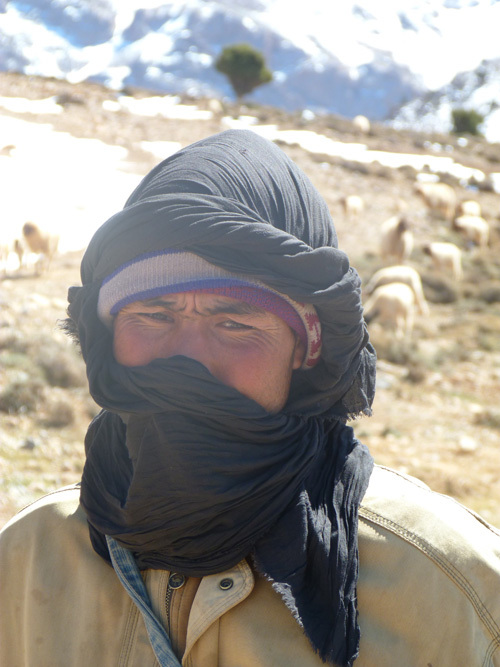 The Imazighen (singular Amazigh), or Berbers, are among the original peoples of North Africa. Their myths, legends and history span 9,000 years, and can be traced to the Proto-Mediterraneans. They have achieved unity by maintaining their unique language and culture which are, like their land, both African and Mediterranean. Berber man, Midelt region, Middle Atlas. The Berbers of Morocco share this duality, reflecting the diversity of their nature and stormy history. Through close contact with other peoples of the Mediterranean, they created kingdoms but also vast territories organised into powerful, democratic, war-mongering, tribal communities. Both aspects of this sociopolitical organisation have left a mark on recent historical events and the country’s history spanning two millennia. As opposed to the pagan Mediterranean kingdoms of Antiquity, Berber empires developed inland and were Muslim. 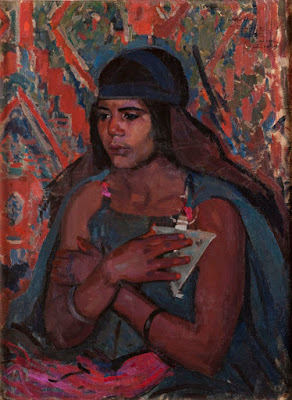 Judaism continued to be practiced, and the Sunni Islam majority gradually took on a Berber hue with its brotherhoods, zaouias, marabouts and rituals. The roots of the Berber culture reach deep down into Morocco’s proto-history. They are illustrated by a strong link with their land, a sense of community, hospitality, sharing food and a specific relationship with spirituality. Its openness to many influences whether Mediterranean, African, Oriental, European, or international have helped define its current characteristics. 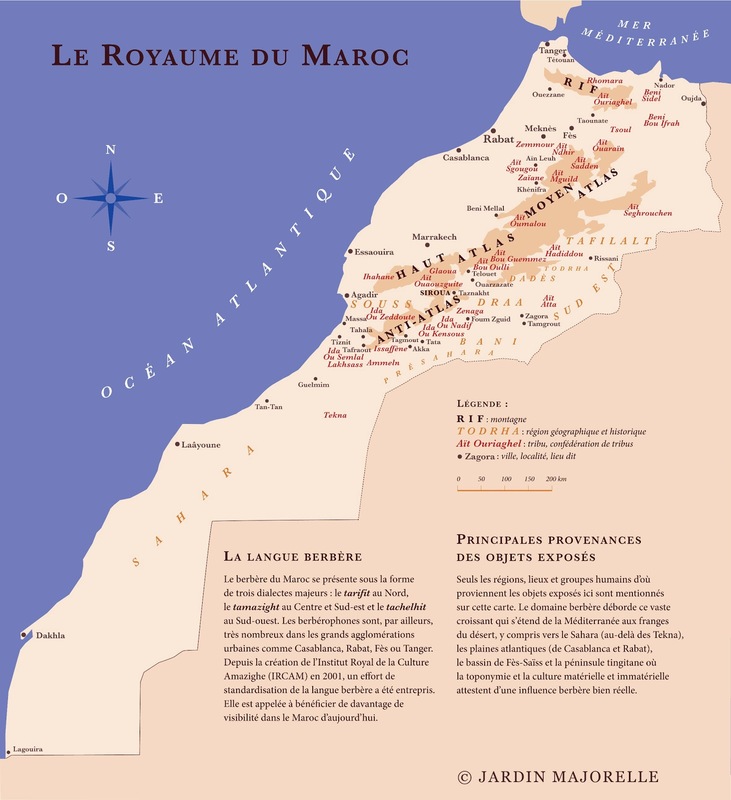 The Berber language, an Afro-Asian idiom, is a melting-pot of history and culture of the country. It has outlived most languages of Antiquity such as Ancient Greek, Latin, Phoenician and Egyptian. It used to be written but is now mainly oral. 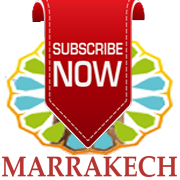 Although there are fewer now that can speak it, the language is nevertheless still used by a substantial number of Moroccans. A true symbol of identity, the language crystallizes political demands and unleashes passions. 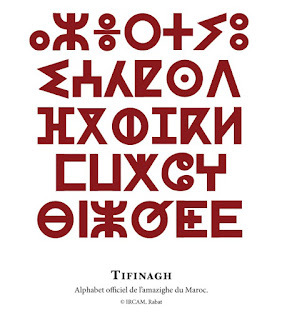 The recent recognition of the country’s Berberity would seem to signify a will to preserve the language for future generations, including its ancient alphabet called Tifinagh. Know-how, both tangible and intangible, which transforms a great diversity of raw material into artefacts for daily or ceremonial use. Sets of jewels that illustrate age-old beliefs and knowledge. A sense of grandeur expressed in costumes, weapons, weaving and decorated doors. All these objects invite the visitor to appreciate the beauty of Berber art across rural Morocco. They testify to the rich diversity and creativity of this culture.